Heather graduated from Lenoir Rhyne College in 1999 with a Bachelors degree in Biology. She graduated from the University of North Carolina at Chapel Hill in 2001 with a Masters in Physical Therapy. 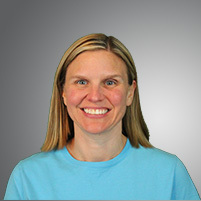 She has been practicing physical therapy for the last 17 years with her main focus in outpatient pediatrics, children birth through 21 years.